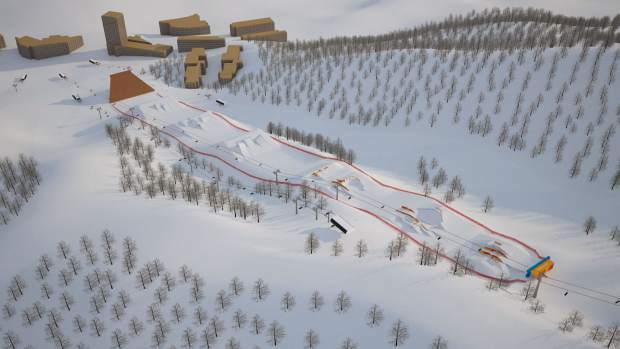 An overview of the Olympic Slopestyle Course to be used in February's 2018 Pyeongchang Winter Olympic Games at Bokwang Phoenix Park Ski Resort. 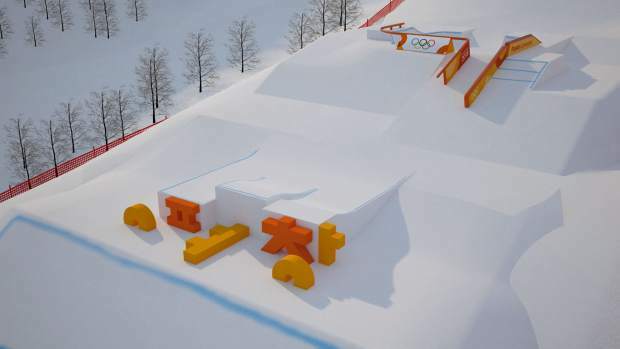 Section three of the Olympic Slopestyle Course to be used in February's 2018 Pyeongchang Winter Olympic Games at Bokwang Phoenix Park Ski Resort. 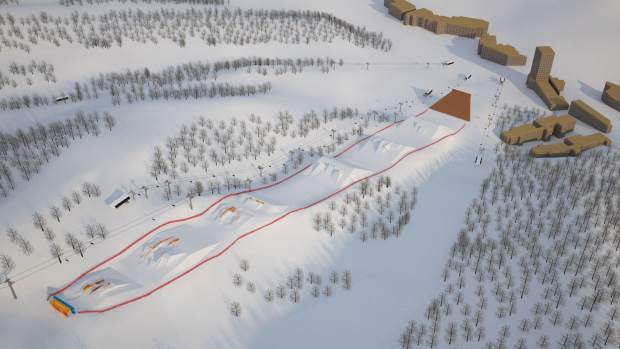 Section two of the Olympic Slopestyle Course to be used in February's 2018 Pyeongchang Winter Olympic Games at Bokwang Phoenix Park Ski Resort. 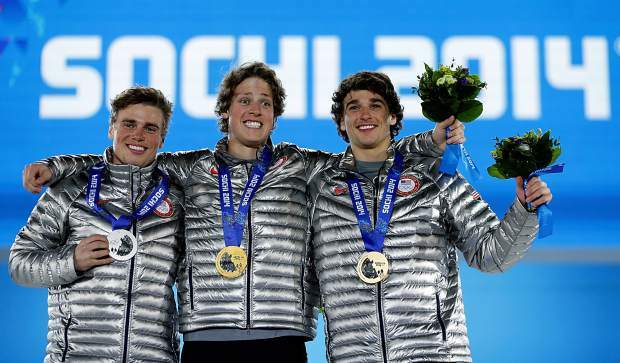 Men's slopestyle skiing medalists (from left): Gus Kenworthy with silver, Joss Christensen with gold, and Nicholas Goepper with bronze, all from the United States, pose with their medals at the 2014 Winter Olympics in Sochi, Russia. 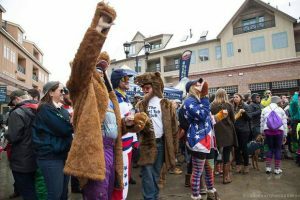 It was only the third time Americans have swept an event at the Winter Games, and the first since 2002. 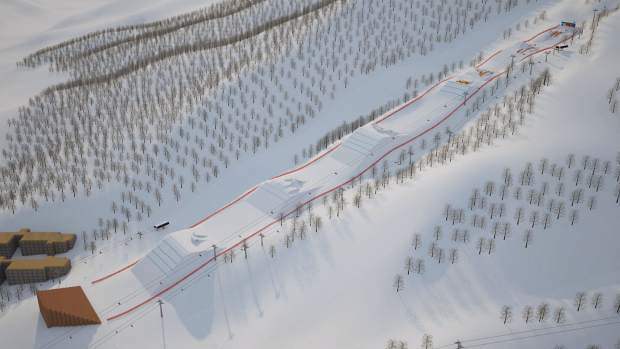 Section one of the Olympic Slopestyle Course to be used in February's 2018 Pyeongchang Winter Olympic Games at Bokwang Phoenix Park Ski Resort. 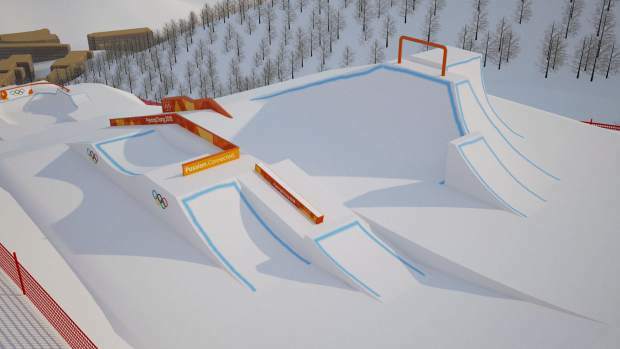 Section four of the Olympic Slopestyle Course to be used in February's 2018 Pyeongchang Winter Olympic Games at Bokwang Phoenix Park Ski Resort. 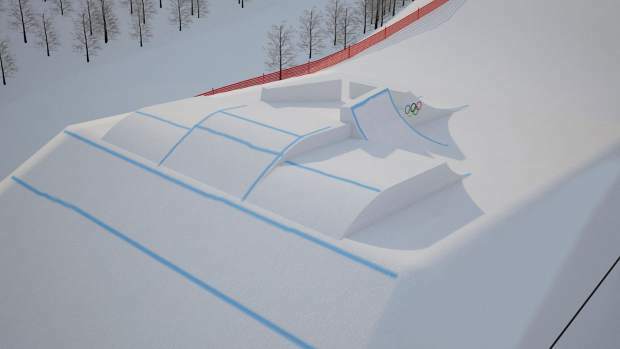 Section five of the Olympic Slopestyle Course to be used in February's 2018 Pyeongchang Winter Olympic Games at Bokwang Phoenix Park Ski Resort. 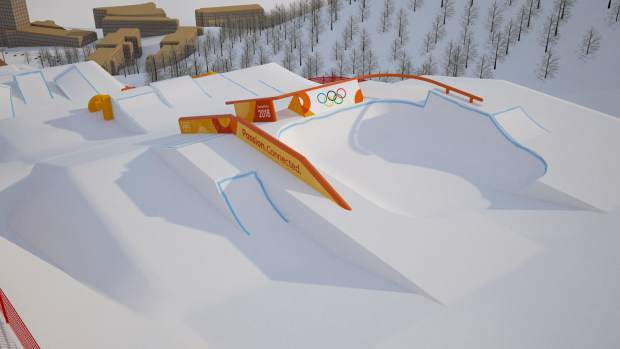 One hundred days before the Feb. 9 open of the 2018 Pyeongchang Winter Olympic games, the International Ski Federation last week unveiled designs for the event’s slopestyle course. 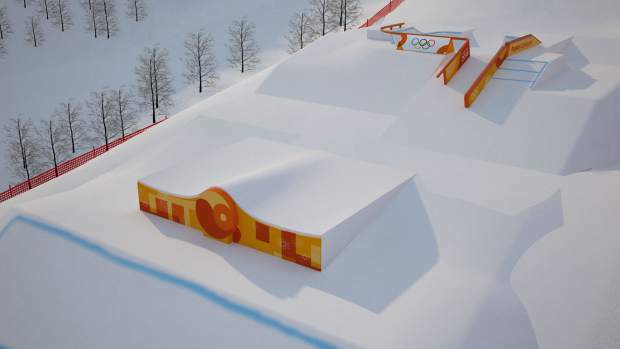 The German action sport infrastructure company Schneestern designed the Olympic course, which will be located at the snow park within the Bokwang Phoenix Park ski resort in Pyeonchang County. 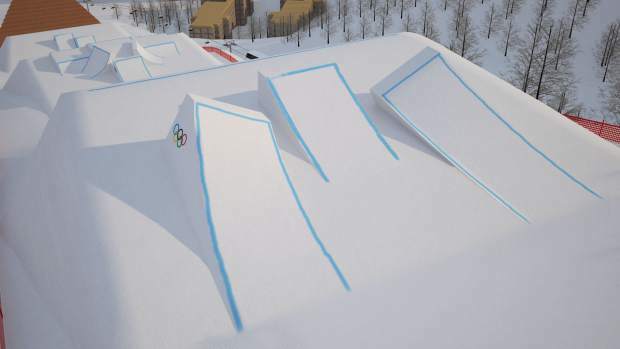 The Olympic course is largely based on the Slopestyle World Cup course that was also designed by Schneestern and hosted at Phoenix Park in February 2016. 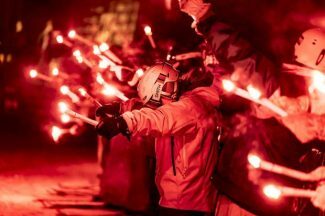 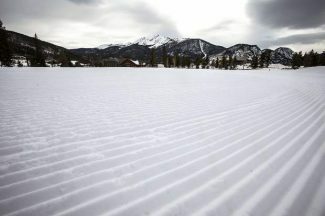 However, the International Ski Federation says the Germany-based company has added and adjusted some elements from the 2016 course. 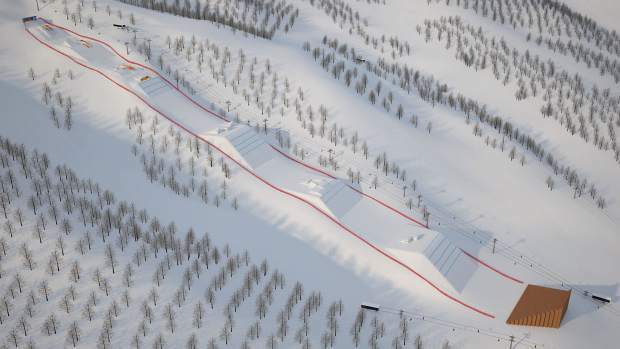 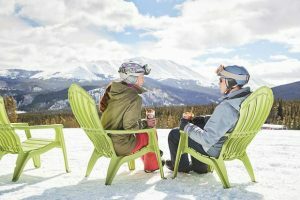 “Looking to improve even further a course that was already heralded for its inventiveness by many of the world’s top slopestyle athletes at the test event two seasons ago,” the FIS said in a statement. 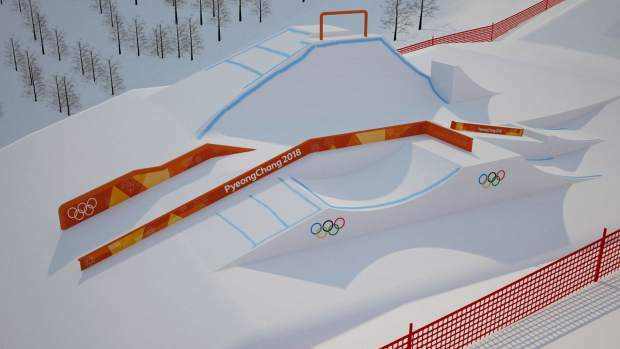 The course, which will be the first mainstream slopestyle course to incorporate a skate-inspired pool or snow bowl, is expected to challenge Olympic competitors after 2016’s test event took place in icy and windy conditions at Phoenix Park. 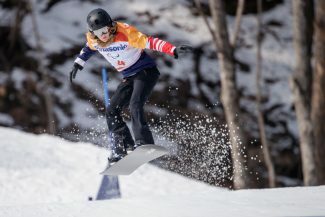 American snowboarder Sage Kotsenburg won the 2014 Olympic gold medal in the men’s snowboard slopestyle event in Sochi, Russia. 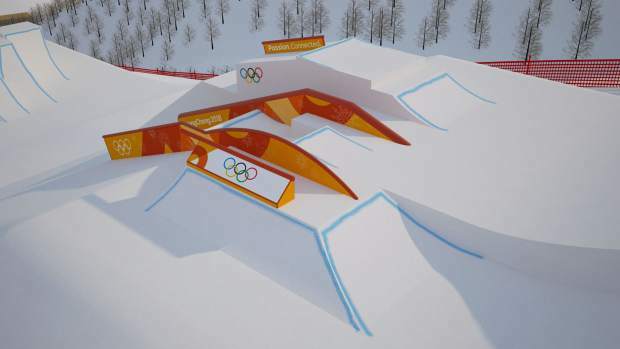 American snowboarder Jamie Anderson took home the gold in the women’s snowboard slopestyle event. 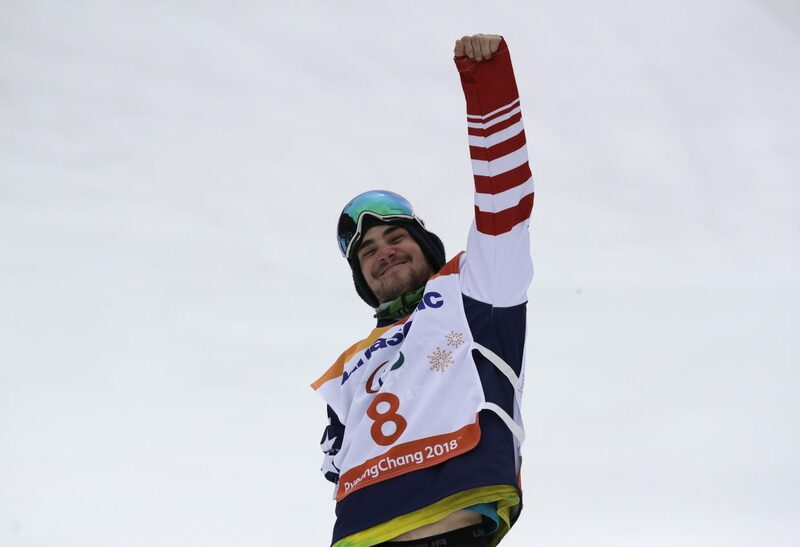 American skiers Joss Christensen, Gus Kensworthy and Nick Goepper swept the gold, silver and bronze medals respectively in the men’s skiing slopestyle event in Sochi. 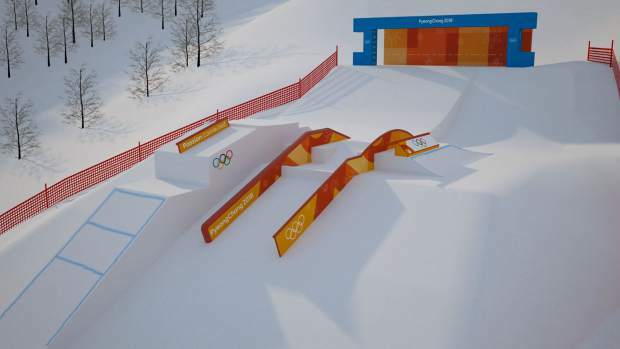 American skier Devin Logan earned the silver medal in the female skiing slopestyle event. 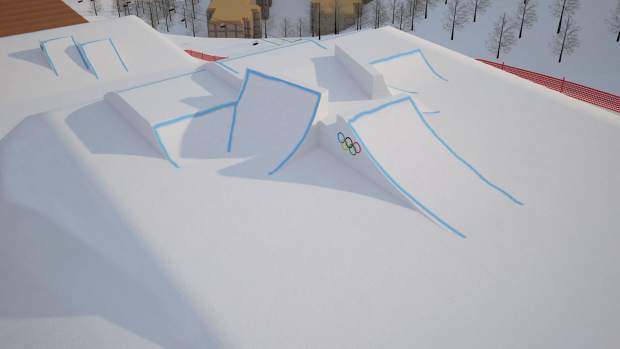 To view more photos of the 2018 Olympic slopestyle course, visit SummitDaily.com.